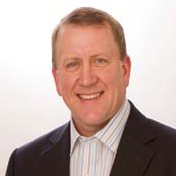 Brian leads Radisys as president and CEO after having held numerous management positions within the company, including chief financial officer, vice president of business development, treasurer and chief accounting officer. Before joining Radisys in 1999, Brian held multiple financial management roles at Tektronix, Inc. where he was responsible for investor relations and various finance and accounting functions both domestically and internationally. He has also practiced as a Certified Public Accountant with the accounting firm Deloitte and Touche LLP. Brian holds a bachelor’s degree in Business Administration and Communications from Oregon State University.